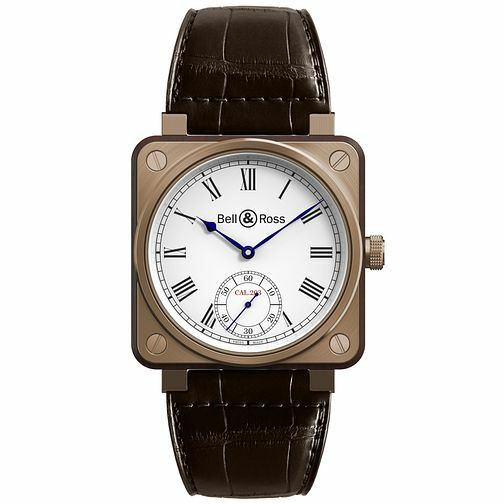 Crafted from Titanium, Bronze and Rosewood; the BR01 Instrument de Marine timepiece from Bell & Ross offers execptioional style. The classic square case is complimented by a fresh white dial, small seconds sub dial and blue hands. With manual mechanical movement.